This Vagabond House steak knife set depicts the noble lifestyle of the Medici family within its traditional design. Reminiscent of a fleur-de-lis symbol, elegant flourishes adorn the end cap and both sides of each handle, while beaded patterns surround a guard just below each piece’s neck. 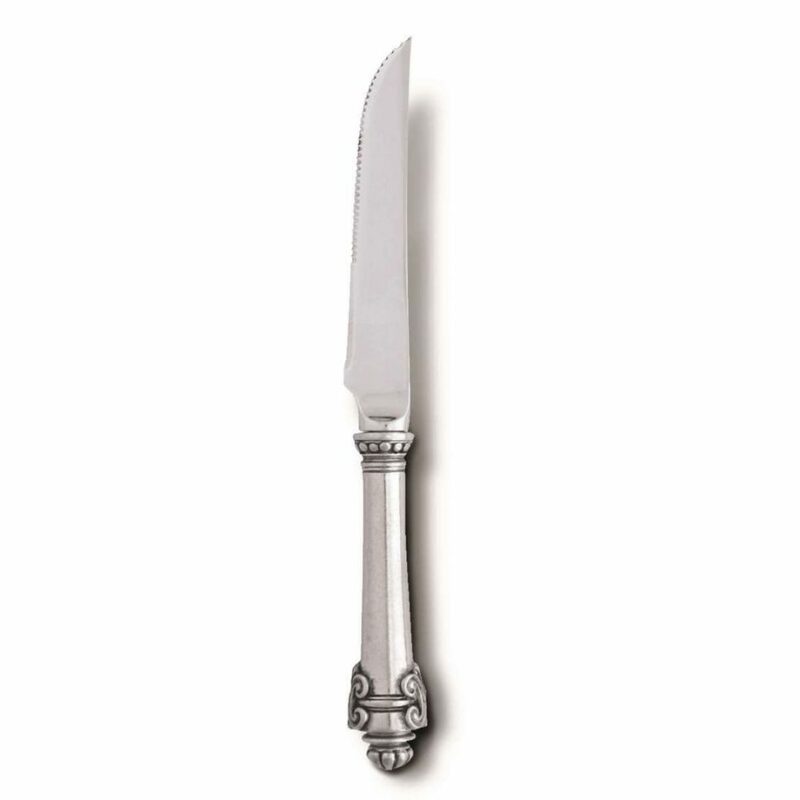 Exquisitely detailed in pewter, each handle provides a sturdy base for the stainless steel blade.